This guide is a tour of each floor of the newly renovated library highlighting features, services, and collections. 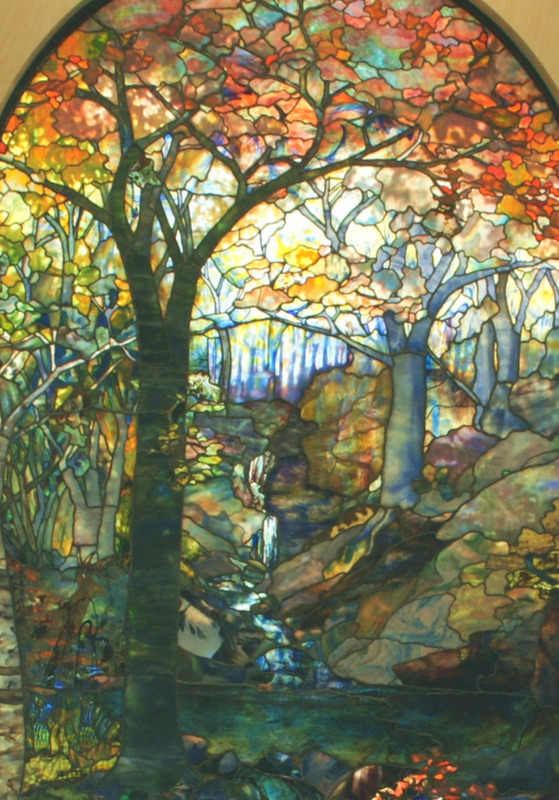 The Water Brook stained glass Tiffany window was given to SCSU by the First Church of Christ, New Haven. It was created in 1904 by Louis C. Tiffany and was first installed in the library in 1972. This is a virtual tour of the renovated Hilton C. Buley Library at Southern Connecticut State University. The library was constructed in 1970 and opened in October of that year. It was named after Hilton C. Buley Library who was President of the University from 1954-1971. In the early 1990s, there were talks of expanding the library to keep up with the growing university and in 2005, groundbreaking was underway for an addition to the existing building. There were also plans to renovate the existing library.The 135,000 square foot addition was completed in 2008 but the renovation was sadly delayed due to litigation and rising costs. In 2011 the university was able to obtain some funding but it wasn't until 2013 that the groundbreaking took place for the renovation. After nearly two decades, the 245,000 square foot library which includes the addition and the renovated space, opened its doors on March 19, 2015. The first floor has a spacious Learning Commons adorned by 3 beautiful Tiffany windows. There are charging stations, group study rooms, IT Help Desk, Reference Desk, self-check-out, and a Cafe. The ground floor has a large Special Collections area, a Media room, and a beautiful Art Gallery. The Academic Success Center on the third floor is a convenient one-stop shopping site where students can get research, technological, and academic help all in one place. The building is so designed that all other areas can be secured leaving just the Learning Commons open for study 24/7 in the future. Buley Library features over 500,00 items including books, serials, microforms, maps, media, government documents, rare books and over 100 databases/electronic collections. The collections and services occupy four floors - ground, first, second, and third. The fourth floor houses the Instructional Technology Department and the School of Graduate Studies, Research, and Innovation. More than a dozen librarians specialize in one or more areas of study and are available by appointment for class instruction or individual consultation. Begin the tour by clicking on the "First Floor" tab above. Maps of each floor are included to give you a better orientation of the layout. Enjoy your tour! 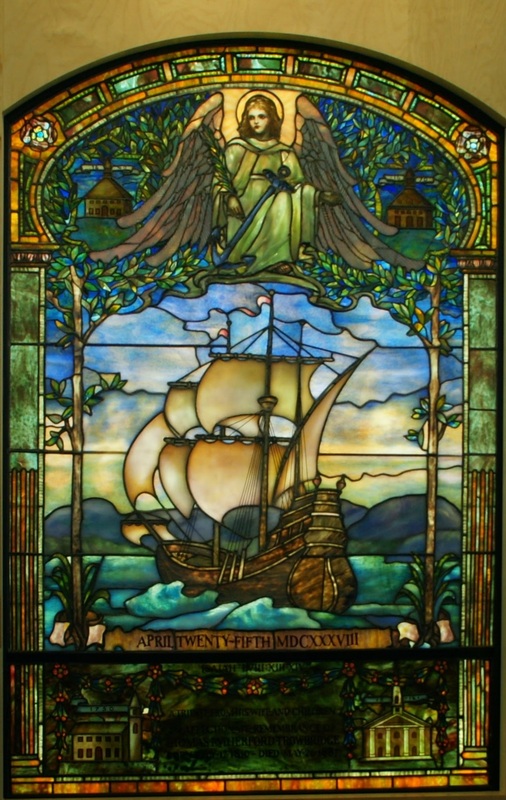 The Hector Tiffany window created in 1898 was also a gift to the university by the First Church of Christ. It was created in 1898 as a memorial to Ezekiel Hayes Trowbridge, a descendant of the original church founders. The ship is the Hecor, which brought the first colonists to New Haven in 1638.